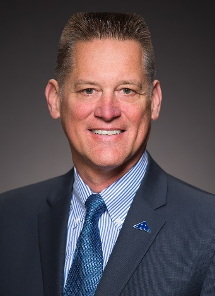 Brian Bishop is a retired Major General from the United States Air Force, who since 2015 has served as one of NMC’s esteemed flight instructors. Brian Bishop spent 32 years in the United States Air Force where he retired from active duty in July 2015. Trained as a fighter pilot, Brian had the opportunity to command at all levels including the United States Air Force Air Demonstration Squadron, “Thunderbirds,” the 34th Operations Group at the Air Force Academy, the 8 Fighter Wing, “The Wolf Pack,” at Kunsan Air Base, Republic of Korea, and the 332nd Air Expeditionary Wing, Joint Base Balad, Iraq. While in Iraq, Brian was also the installation commander of a base population of 30,000 comprised of all services, government contractors, and host-country nationals. Additionally, Brian served several staff tours at Headquarters Air Combat Command, Headquarter United States Air Force, the Joint Staff and Headquarters United Nations Command / United States Forces Korea. Brian is a graduate of the United States Air Force Academy with a bachelor of science in Aeronautical Engineering. He also holds a master’s degree in Business Administration from Oklahoma City University. Throughout his military career, Brian was able to further his education through programs such as the Aspen Institute, The Center for Leadership and Character Development, Seminar XXI associated with the Massachusetts Institute of Technology, The Flagler Business School at University of North Carolina, and The Kennedy School of Government at Harvard. Brian lives with his wife Linda Lindquist-Bishop in the Grand Traverse area and enjoys sailing, skiing, and many other forms of outdoor activities.